Titan Wargames Presents: Artisan's Contest XXVI! 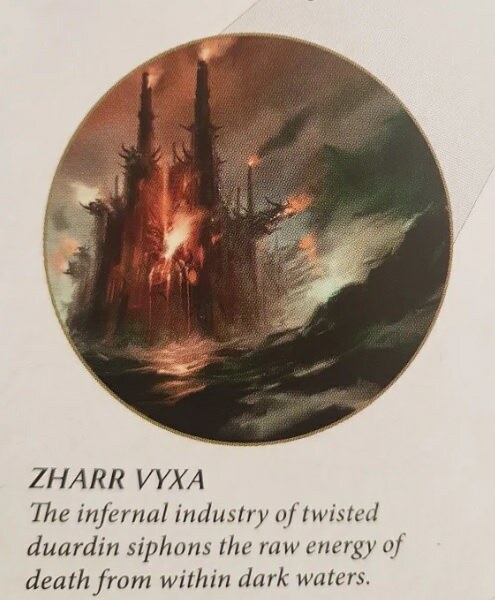 To celebrate the glimpse of Zharr Vyxa (thanks to Thommy H for spotting it!) we're throwing a salty contest! Come join if you ever fancied getting your feet wet, whether in the Old World or beyond fabled Realmgates, or in whatever setting you fancy for your evil midgets! The fiery Dawi Zharr have a solid history with the sea, with official material ranging from an enormous underground tunnel connecting the Sea of Chaos to the navigable River Ruin, through a navy in Man o' War to Dreadfleet's Black Kraken, not to mention various community produce here on CDO. Certainly, the seven oceans and their dark depths are not safe from our grasping hands! 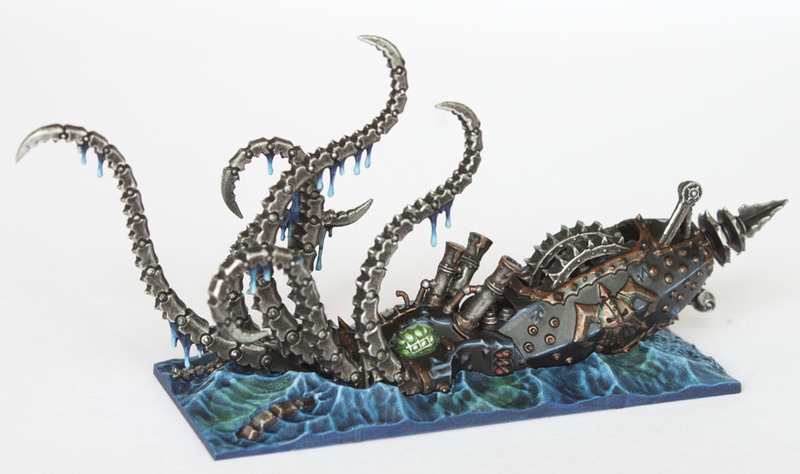 The goal here is to create a piece of artwork featuring something relating to Chaos Dwarfs and the sea, river or ships. This can be done by drawing, sketching or painting it (i.e. no miniature entries). Digital tools are allowed, and some scribblings as seen on many concept sketches are likewise allowed, but please keep any text amount low. The amount of work invested in the art entry can vary from a simple sketch up to a full-blown illustration. Grab the opportunity to present us your take(s) on Dawi Zharr or Hobgoblins on the high seas! Your entry could be a sketch, a technical/architectural schematic or an illustration. You could depict a sailor; a slavedriver whipping slaves to shovel coal below decks; a harbour; a drowning Chaos Dwarf; a submersible vessel; coastal fortifications; pirate scenes; a naval battle; boarding action; Chaos Dwarf warship classes or other vessels; coal barges steaming down River Ruin; oceanic platforms; scenes from Dawi Zharr myths connected to the sea; a convoy steaming through a dark naval tunnel; a Chaos Dwarf flotilla attacked by sea monsters; or something else entirely. 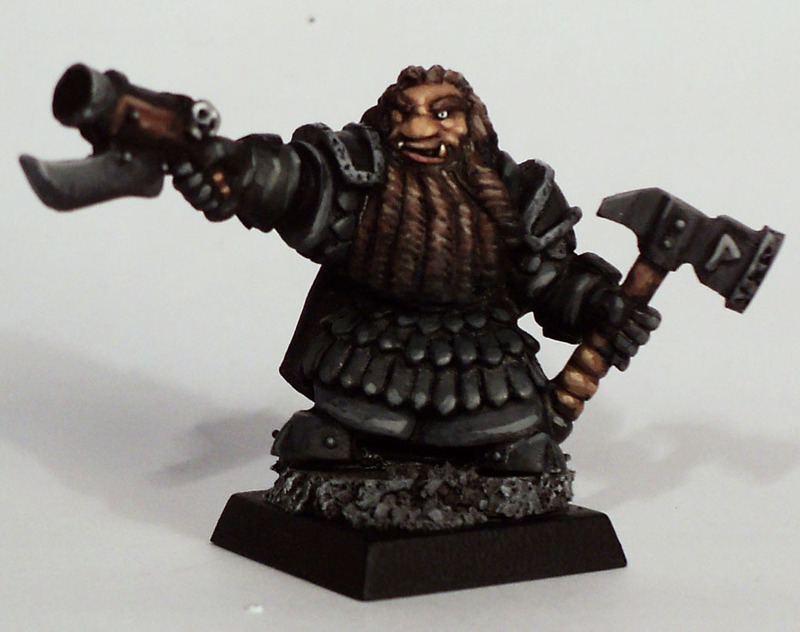 The Gold winner will take home a Dwarves of the Dark Bell Tower Bazooka Team kit, sculpted by Fuggit Khan! The Silver winner will receive an unpainted Marrog Blackhand from Titan Wargames, courtesy of Baggronor! 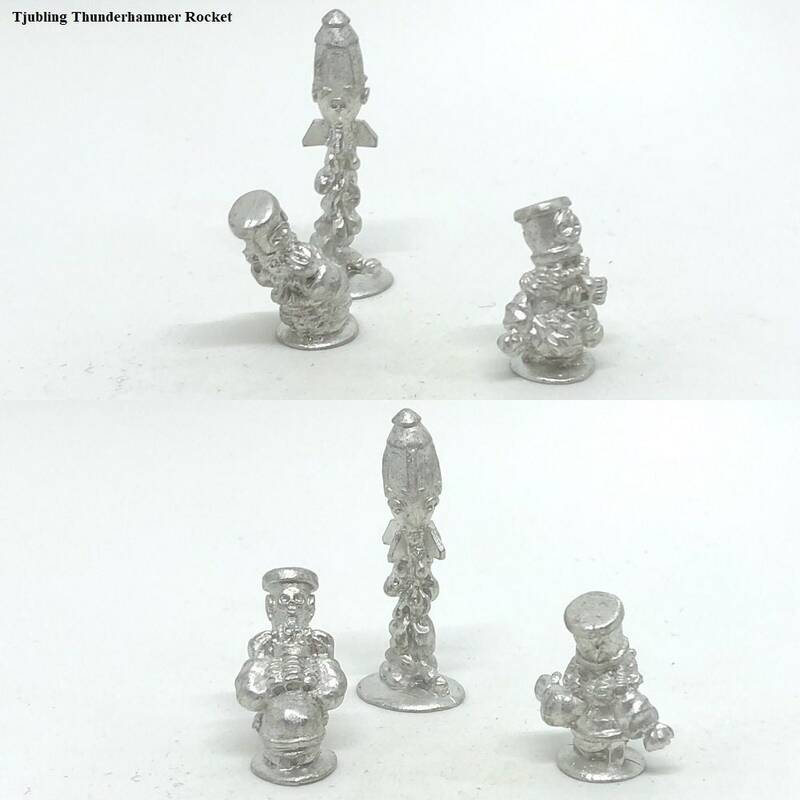 The Bronze winner will get a kit of 7 Dwarves of the Dark Bell Tower Big Hats, sculpted by Fuggit Khan! 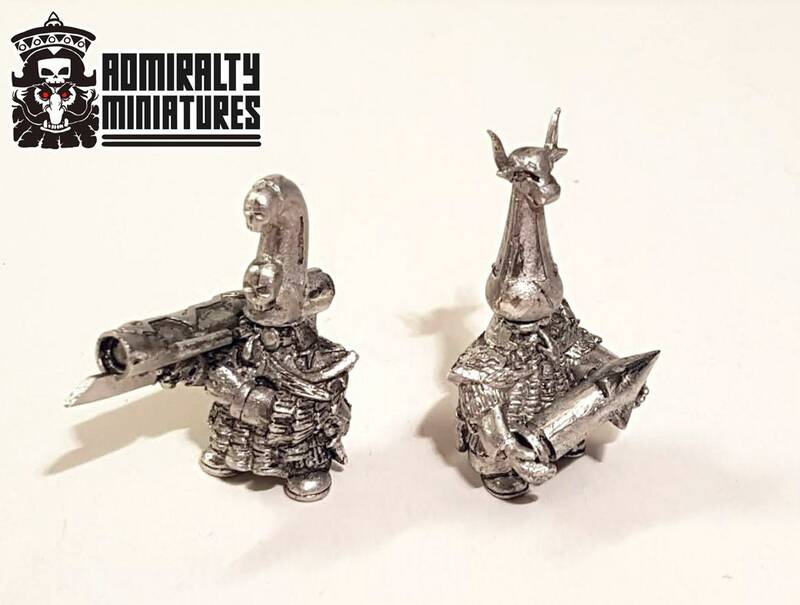 While a random entrant will claim a 15mm Tjubling Thunderhammer Rocket! 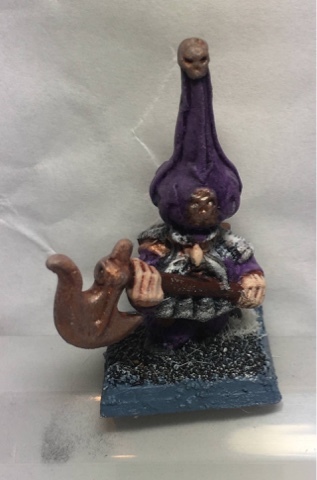 Also, another random entrant will win an unpainted onion hat axeman, donated by Zanthrax! Sketch, draw, paint and use digital tools to come up with an artwork or concept image having to do with Chaos Dwarfs, Hobgoblins and the sea, rivercraft or ships. Submissions should include one picture file only. Your one picture with art may contain any number of objects, figures and scenes. You may not submit a picture of a drawing or painting that have been entered into other online competitions or posted in a finished state before. Don't post your entries in the forum before the contest is over. See also the General Rules & Guidelines. Submit your entry by sending a PM to Staff (a special user that all Staff have access to) with one link or image of your entry. Please do not send an e-mail to any of the admin or staff accounts as this is a sure fire way to have your entry missed. Sometime after January the 19th we will post all entries to a new thread and voting can commence! Cool! Nice theme cant wait to see what the community comes up with! Great theme. I think I'll aim to win the gold, the silver, the bronze or all the randoms. Bugger. Just realised it says "Artwork". Artwork! Oh dear. I can’t paint a figure! What chance freehand? May have to sit this out as the wretched landlubber I am. We're running yearly art contests to not miss out on that aspect. Of course, we could reuse this theme soon enough for modelling/painting in Artisan's Contest if you like. Abecedar, I know you can draw! And both of you have kids. Raid their crayons or... recruit someone of them. Just kidding. Remember that this is an opportunity to break loose your inner draftsman, for all of those who haven't drawn anything in decades. Too many people in their adult years seem to be put off from drawing stuff from a perceived sense of demand for quality or realism, which is a shame. Just draw and paint for the fun of it. I'll hazard a guess that you surely did when you were kids. Also, random draw prizes mean any humble little entry have a good chance at claiming something for the mailbox. OK OK Admiral. I might have a go and channel my inner Jackson Pollock or Picasso but I take no responsibilty forany artistic offence taken. I like this theme a lot. 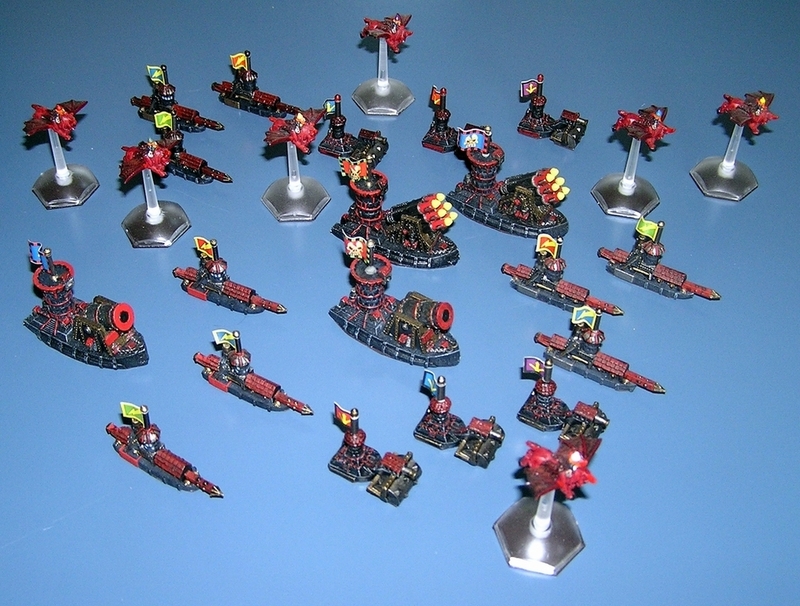 And I agree with Admiral that every once in awhile it's nice to have a drawing contest...not everyone paints, assembles armies, or even plays the game(s). Lots of people on this forum, each with their own talents and creative interests, and each with something to offer. Sketching and drawing is how we all pretty much started as kids to entertain our creativity and imaginations to become artists, modelers, etc. spinning my wheels here trying to decide how to start, or is it procrastinating. An idea has come to my mind, a rather vague idea...but I think I'll sit down tonight after dinner and start some rough sketches, see if the idea will work. Will probably sprout an entry late into the deadline. Clearing other work and projects at the moment. Still chipping away at it. Even managed to colour between the lines this time. I finished my entry last night, and have been cursed by Imgur ever since. Can't upload, broken links, album disappeared, etc. Clearly Imgur is run by damn elves. I'm going to try to send the pic directly to an Admin, since all else has failed. But I'm hoping everyone else is having better luck, and will enter! Great theme, and fun to put the pencil to paper. Noticed that Imgur has had troubles with their advanced edit function as well. Damn hassle. Yay, mine as well! Deadline's closing, so find the treasure or walk the plank. Just for interest, I use imgur but only to host the pics. I didn't use any edit stuff on it. No worries, Abecedar. I often use edit on Imgur since scans and photographs of drawings and paintjobs don't match the reality too well all the time, so it's often good to use advanced edit to get closer to the actual real life impression. Also, it's fine to brush up on it with edit, since digital art is all allowed. No needless limits here. Would have loved to see your take on this theme, given your superb naval drawings. Of course, any sketchy doodle can be entered, hint hint. Will see what I can crank out tomorrow evening. Best of luck! Last day to enter. That's great that you're entering for your first time! And come on Jackswift! You can do it!